After school has ended for the day, you want to make sure that your child is in a safe, educational, and nurturing environment until you pick them up. 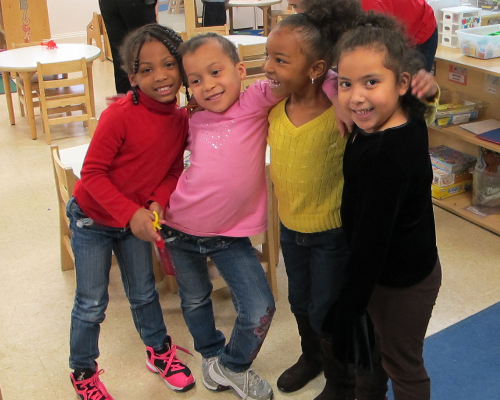 Primary Beginnings Child Care Centers strive to ensure a setting that’s both stimulating and fun for children from kindergarten to grade school. Our programs allow children to thrive with snacks, fun activities, and outdoor time as a constructive way to spend their afternoons. We provide many choices for before school and after school, care suited to benefit not only your busy schedule but to ensure that your child is participating in activities that keep them engaged and enrich their growth and development. Primary Beginnings before school and after school programs offer a range of fun activities for your child, including nutritional snacks to help bridge the time between school and getting home at the end of the day. After-school physical activity and outdoor time are vital to your child’s development by helping them unwind after a long day of school work. In addition to our after-school care and before school care, Primary Beginnings also offers summer camp activities. This is a wonderful opportunity for your child to socialize, explore, spend time outside, and have fun. We are excited to offer many enjoyable activities for our summer campers including themed games and special summer field trips too! Are you interested in finding out more about how Primary Beginnings programs’ can provide to your child? Contact us today to receive more information by filling out our information form below. We are happy to provide two convenient North Raleigh locations on North Hills Drive and Spring Forest Road.